A performance by a Filipino community association. 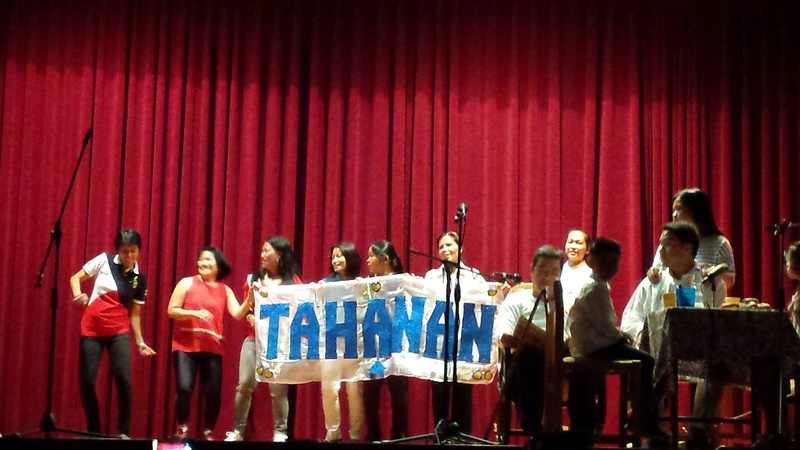 For its thirtieth year anniversary, members of the Tahanan Filipino Chaplaincy held a family day event at the Colegio de Nuestra Señora del Pilar. Post´s Chargé d´Affaires, a.i. Emmanuel R. Fernandez, First Secretary Mary Luck Hicarte, and Cultural Assistant Ruby Fernandez graced the said event. 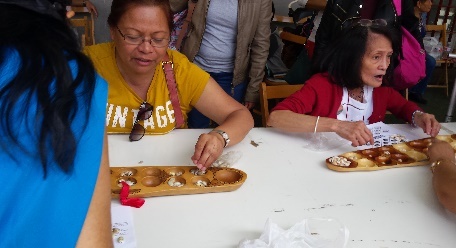 The event, themed Sandiwangan, began with a Eucharistic Celebration in the morning, followed by cultural performances rendered by Filipino associations in Madrid. In the afternoon, children of all ages participated in various Filipino indoor and outdoor games such as tug-of-war, patintero, skip rope, karera ng bao, sack race, Chinese garter, sungka, and jackstones. Sandiwangan is a combination of the words: isang (one), diwa (word and mind), and pagdiriwang (celebration). Aside from the 30th year anniversary of the chaplaincy, the event also marked the culmination of the Catholic Jubilee Year of Mercy and the Feast of San Lorenzo Ruiz, Patron Saint of Filipino migrants. 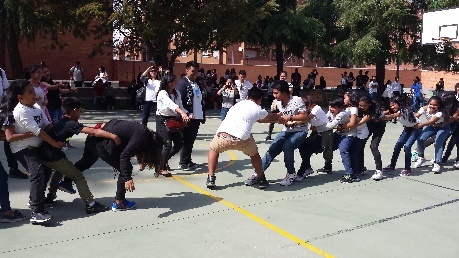 It provided Filipino families in Madrid with a venue to enjoy an afternoon of fun and games. The first ever Family Day was held in 2013, in celebration of the Year of Faith and Feast Day of San Lorenzo Ruiz.